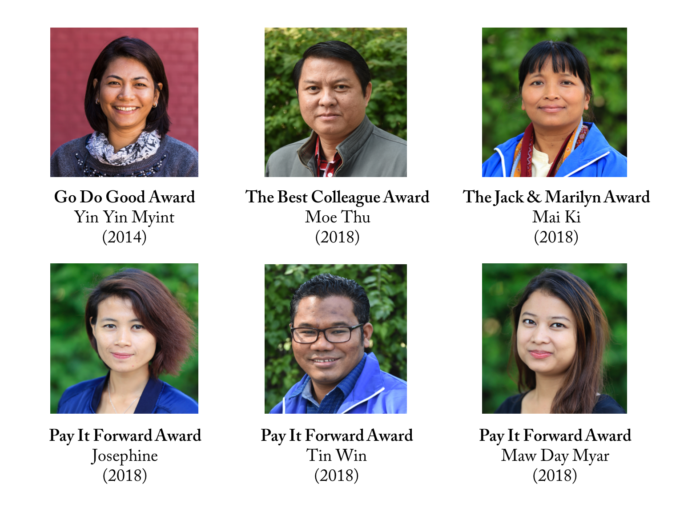 The DeBoer Fellowship has concluded a lengthy international search with the hiring of its first Executive Director, Saw Myo Min Thu, known as Saw Kapi. Saw Kapi was born in Kyaukkyi, Myanmar, and earned a BA in International Relations from San Francisco State University and an MA in Development Economics from Williams College. October was the best month of the year for us. We celebrated the DeBoer Fellowship’s 5th Year Anniversary at Chaung Thar Beach. One of the most memorable moments of the anniversary was honoring some of our Alumni with four annual DeBoer Network Awards. The Pioneer of the Year Award recognizes the Fellow who has showed the greatest pioneering spirit in the last year, starting one or more new initiatives and modeling to others that fulfilling dreams is possible. 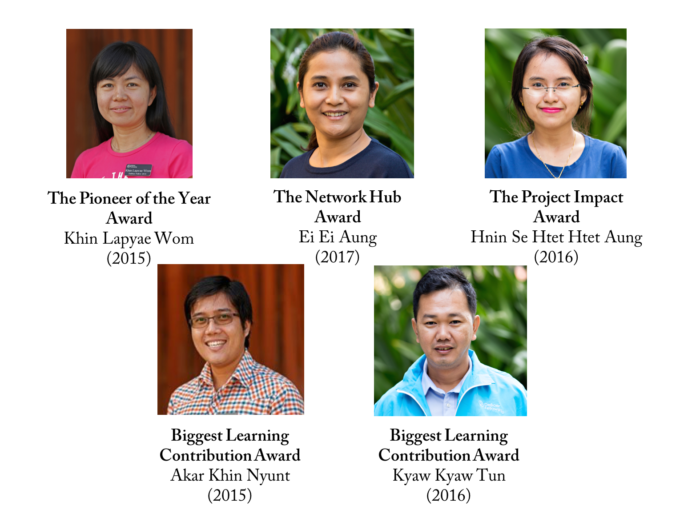 The award went to Khin Lapyae Wom (2015) who pioneered and led a new fundraising event on February 12th, 2018. Over the course of the Fellowship, Fellows are encouraged to live out our core values and to give back to society. At the end of each year we recognize outstanding Fellows who show their commitment towards the Fellowship and the society around them. To honor their excellent characters, we gave the following awards to individuals at the Graduation on October 4th, 2018. No. 528/8-1 (KA) Ma Soe Yein Kyaung St.
(5) Ward, 9 Mile, Mayangone Tsp.